Maria Konieczna graces the June 9th, 2018 cover of Gioia Magazine. Photographed by Stefania Paparelli, the blonde beauty wears a faux leather jacket from Zuiki with a Tezenis swimsuit. 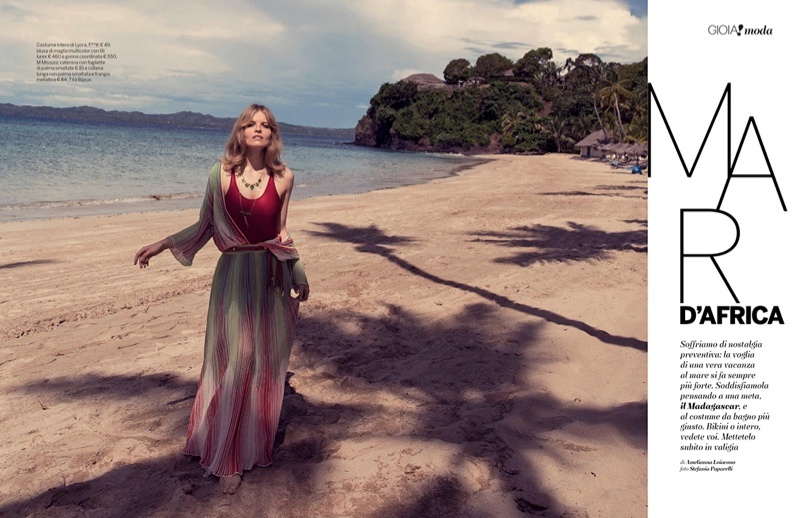 Inside the fashion glossy, Maria looks vacation-ready at Madagascar’s Bravo Andilana Beach Resort. The Polish model impresses in a mix of breezy coverups and strappy swimsuits styled by Amelianna Loiacono.